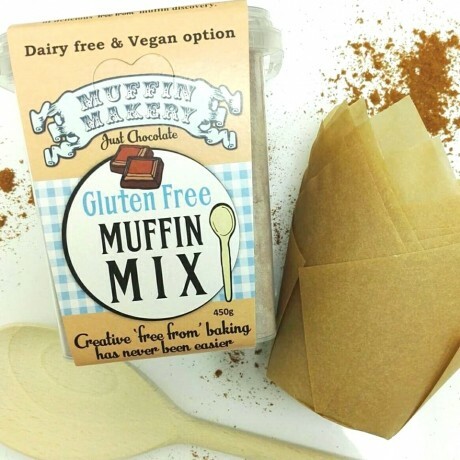 The Muffin Makery Just Chocolate Free From Muffin Mix. This mix is free of the 14 Major Allergens, please check the ingredients carefully. You make them up according to your individual dietary requirements. 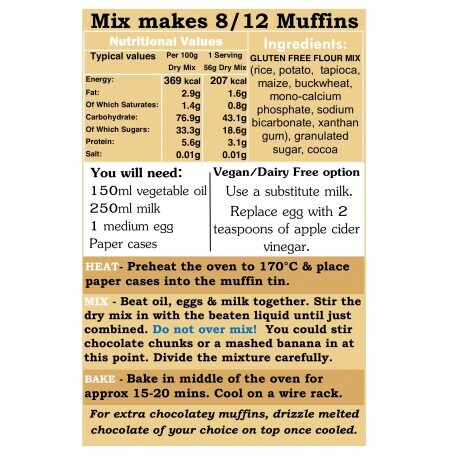 A 450g mix will bake 8 large/12 medium Muffins. Storage Instructions : Store in a cool dry place away from direct sunlight.